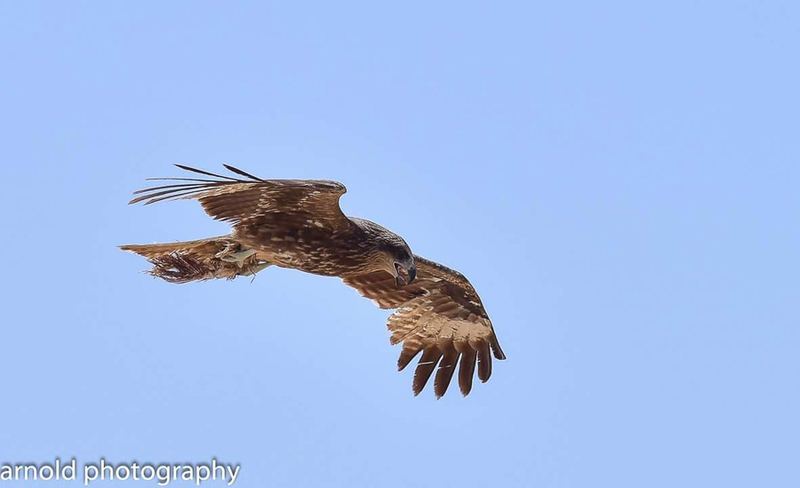 Whilst birding at Khafrah Marsh Arnold Uy found three juvenile Black Kite in the trees and in flight. 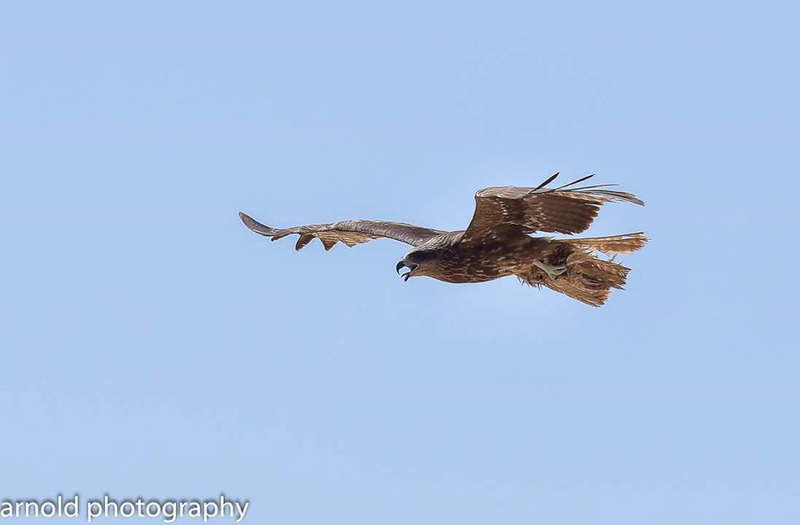 Arnold said the birds were not afraid and flew right over his car where he managed to take a number of excellent photos that he has kindly allowed me to use on my website and which are shown below. 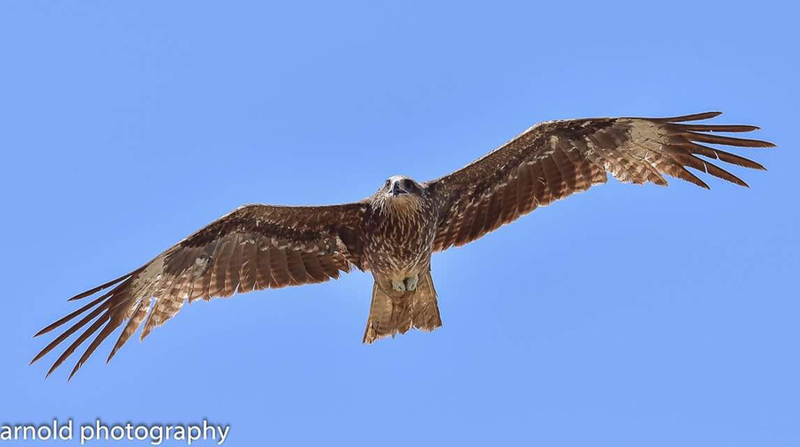 The Black Kite is a medium-sized bird of prey that is a widespread species throughout the temperate and tropical parts of Eurasia and parts of Australasia with two sub-species, European Black Kite & Black-eared Kite being uncommon to rare migrants and rare winter visitors to the Eastern Province of Saudi Arabia. 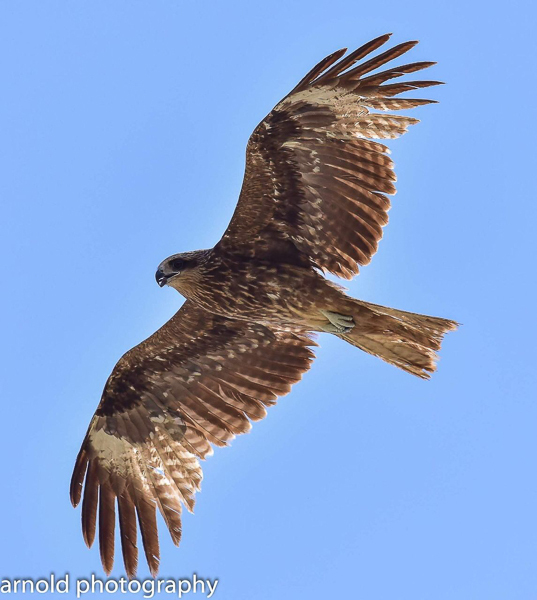 Black-eared Kite M. m. lineatus not sufficiently distinctive to justify specific status and there is a large interbreeding zone between these two sub-species in Central Asia, Siberia & Mongolia and these intergrades may well occur in Saudi Arabia. 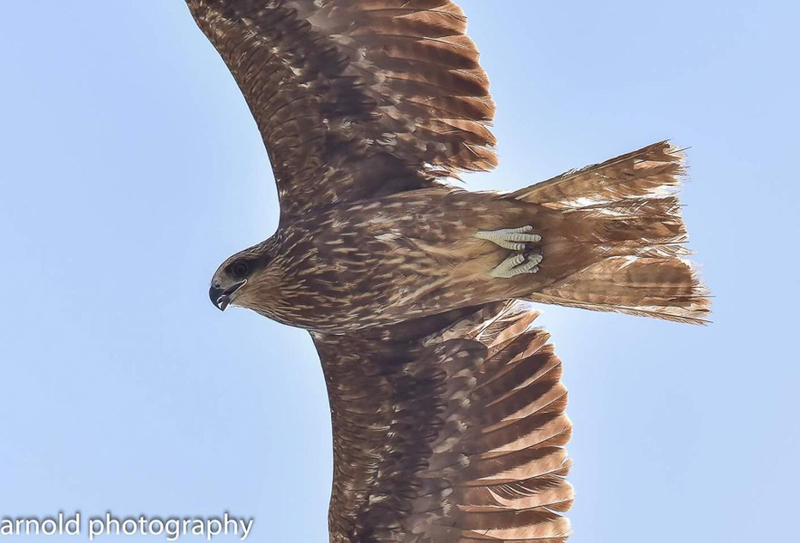 These bird appears to be a Black-eared Kite type due to the pale vent, well streaked under-parts excepting vent and prominently marked primaries with larger white under-wing patch. 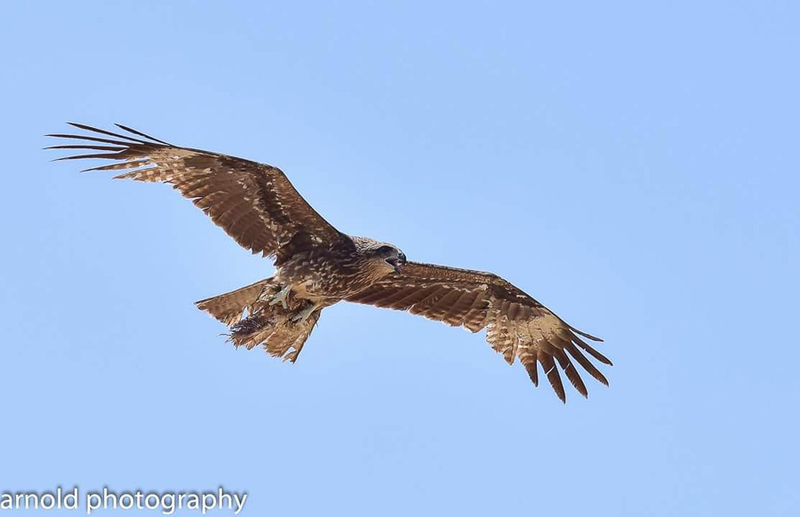 Black-eared Kites have only been sub-specifically identified in the Eastern Province of Saudi Arabia since 2012 and all records are from the Jubail area from June onwards so these birds fit the pattern well.